Seated from L to R: Bob Allen, Consultant; Brock C. Stein, Assistant Secretary; Howard D. Merrick, Jr., Secretary; Franklin K. Schoeneman, Chairman; C.E. Ned Connors, 1st Vice Chairman; John S. Boyer; Treasurer Frank J. Zukas, 2nd Vice Chairman. Standing L to R: Joseph J. Smith, Utility Manager; Joseph W. Vernay, Superintendent; Amy S. Batdorf, Assistant Director; Sudhir R. Patel, Esq., Solicitor; Patrick M. Caulfield, P.E., Executive Director; Mark A. Smith, Office Manager; Troy K. Miller, Environmental Manager; Jesse W. Weiss, Operations Manager. Missing From Photo: Matthew A . Baran, Assistant Treasurer; Jeffrey Canfield, Project Manager. The Schuylkill County Municipal Authority (SCMA) was formed by the Schuylkill County Commissioners via the certificate of Incorporation, dated August 22, 1961. At their regularly scheduled meeting held on December 4, 1961, the SCMA Board of Directors approved a motion to purchase the Pottsville Water Company (PWC) at a cost of $7,622,000.00. 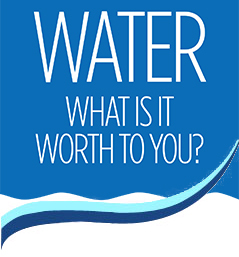 The Pottsville Water Company (PWC) was chartered on April 11, 1834, via articles of incorporation with a capital of $20,000.00, divided into 800 shares of a par value of $25.00 each. 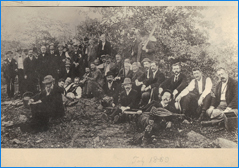 The original source of supply for the PWC was a spring located on a square of ground at Eleventh and Mahantongo Streets in the City of Pottsville. A total of 3,500 feet of 6″ pipe and 700 feet of 4″ pipe were constructed to transfer water from the spring source to the downtown area of the City. The PWC acquired and connected three (3) additional springs to supplement the source of supply served as the primary supply of water for the PWC until 1857. On November 30, 1854, the Wolf Creek supply was placed online. Expansion of the system to serve the Boroughs of St. Clair, Port Carbon, Palo Alto, and Mt. Carbon took place in the following years. In 1856, the Park Basin equalizing dam was constructed. In 1874, the Eisenhuth Dam, in conjunction with pipeline to connect to the system, was added. Throughout the following years, tributaries in the areas of the Mill Creek, Cranberry Run, Tar Run, Kaufman Run, Mud Run and Indian Run were collected and added to the system. 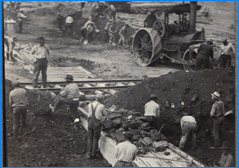 Major expansion of the sources of supply took place with the construction of additional surface water reservoirs including Kaufman (1885), Wolf Creek (1910), Indian Run (1926) and Tar Run (1933). 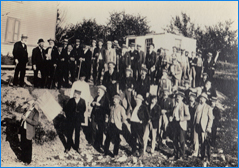 Expansion to the service area continued through the acquisition of the East Norwegian Township Water Company, Norwegian Township Water Company and New Castle Township Water Company by 1929. 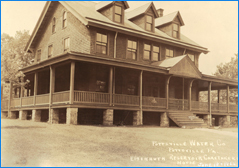 Caretaker’s residences were constructed at the Eisenhuth Dam in 1899 and Indian Run in 1900. A pumping station was also constructed near the Indian Run residence. Water was first pumped from the Indian Run into the west end of Pottsville in 1900. 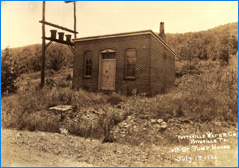 A meter and chlorination house was constructed on the Broad Mountain system in 1924, representing the first treatment system for the Pottsville Water Company. A soda ash feed system was installed at the Indian Run treatment building in 1940. 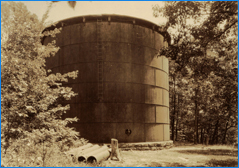 A 2.5-million gallon storage tank was constructed in 1929 on the Sharp Mountain to provide capacity to the Indian Run System. The Pottsville Water Company purchased an office building, which was originally constructed in 1874, at 221 S. Centre Street, Pottsville, PA in 1923. 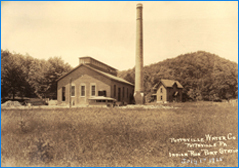 In 1957, the Pottsville Water Company made renovations to the Indian Run pump house and treatment facility to add electrically driven pumps. In 1958, the Darkwater Treatment building was constructed to treat the comprehensive Broad Mountain supplies. In 1961, the Schuylkill County Municipal Authority was formed and purchased the former Pottsville Water Company. In 1976, a 16″ main was installed from the Sharp Mountain water tank to the Forest Hills development in North Manheim Township. In 1978, the Authority acquired the Mud Run Reservoir and renamed it the Mt. Laurel Reservoir. This acquisition proved to be one of the most influential, strategic moves because it opened up a completely new service area along the I-81 corridor. Throughout the 1970’s, the Authority expanded the source of supplies by constructing groundwater wells including the Wildcat Well #4, Indian Run Well #1 and Indian Run Well #5 to supplement the surface water supplies. In the mid-1980’s, SCMA made improvements to both the Wolf Creek and Eisenhuth Reservoirs by raising the level of the dams, constructing secondary spillways and providing downstream embankment stabilization. With the passage of the 1976 Federal Drinking Water Act, the Authority was regulated to provide filtration systems on the surface water supplies by 1995. In 1991, the Mt. 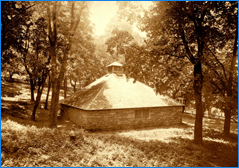 Laurel Water Filtration and Treatment Facility was constructed on the supplies from the Mt. Laurel and Kaufman Reservoirs. 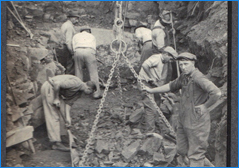 A new 12″ water line was constructed approximately seven miles from the Mt. Laurel Plant to the Federal Correctional Institute at Minersville. 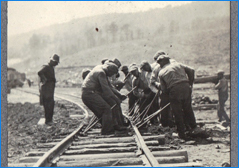 Additional 12″ lines were constructed to serve the newly constructed State Correctional Institutes at both Mahanoy and Frackville. The Broad Mountain Filtration and Treatment Plant went on-line in 1993. In addition, distribution system improvements including pumping stations, pressure regulating stations and additional storage tanks (Peach Mountain and Park Basin) were completed in 1994. In 1995, the Indian Run Water Filtration and Treatment Plant was placed online. 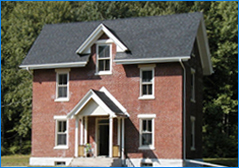 In 1991, the SCMA took on a new challenge to begin operations in the wastewater treatment business by constructing the Gordon Wastewater Treatment Plant to serve the newly constructed Federal Correctional Institute at Minersville and the Gordon Borough, which was operating a “wildcat” collection system that had previously discharged untreated sewage to the Mahanoy Creek. In 1994, the Authority acquired the former Tremont Water and Gas Company and began operations of the existing surface water supply, which was one of five (5) systems in the State of Pennsylvania that had not yet complied with the Filtration Rule set forth by the Federal Drinking Water Act. In 1996, the newly constructed Tremont Water Filtration and Treatment Plant was placed into the system to treat two (2) new groundwater wells. In 1997, SCMA also acquired the former New Boston Water Association, which was yet another one of the five (5) non-compliant systems in Pennsylvania. A 12″ line from the Mt. Laurel system was extended to connect the village of New Boston in 1999. In 1997, the Authority expanded both the water and sewer service in the area of the newly developed Schuylkill Highridge Business Park by constructing five (5) sewage pumping stations and a new 1.0-million gallon water storage tank, along with miles of sewage collection piping and water distribution piping. Today, that business park provides over 1,700 jobs to Schuylkill County. In 1999, an additional groundwater source was added to the Tremont system with the construction of the Tremont Well #15, booster station, and transmission line. In 1999, the Authority also expanded the capacity of the Mt. Laurel Water Filtration and Treatment Plant with an upgrade and addition of another treatment unit, and an additional 1.0-million gallon storage tank. In 2001, the Authority completed construction of the renovations to the Office Building in Pottsville after a 13 year process of building acquisitions, demolition and new construction. The existing building was completely renovated to compliment the new construction. In 2002, the Gordon Wastewater Treatment Plant was expanded to provide additional capacity for the Commonwealth Environmental Systems Landfill and the neighboring collection system of Foster Township. 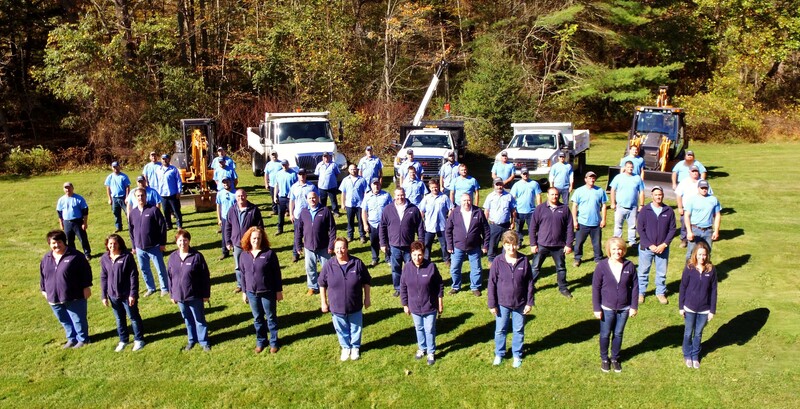 The following years proved rewarding for the Authority with the increasing expansion of both water and sewer service areas through a number of acquisitions of existing systems. In 2007, the Tremont Municipal Authority ceded ownership of the wastewater treatment plant, Maple Street Pumping Station and collection system to SCMA. The Authority was able to complete a $6.2-million upgrade and expansion to the plant and system. In 2008, the Authority purchased the Pinebrook II water and wastewater systems in West Brunswick Township that served a privately owned residential housing development and neighboring Deer Lake Industrial Park. Acquisitions continued with the addition of the Deer Lake Municipal Authority in 2008 that serves the Deer Lake Borough, Auburn Borough and portions of West Brunswick Townships. In 2009, the Authority successfully received partial funding of an $18 million project for the rehabilitation of 4 reservoirs including Pine Run, Mt. Laurel, Kaufman, and Indian Run. 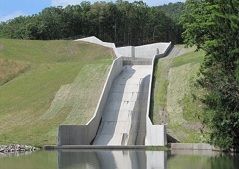 Construction was completed in 2010 on the Pine Run Dam Rehabilitation Project. 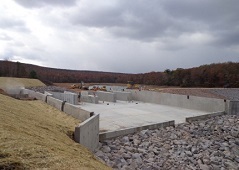 The Indian Run Dam Rehabilitation Project was completed in 2012. The Mt. 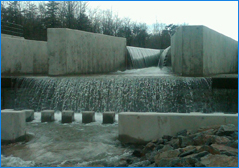 Laurel Dam Rehabilitation Project was completed in 2013. The Kaufman Dam Rehabilitation Project was completed in 2014. SCMA was awarded the American Council of Engineering Companies of PA Diamond Award for Engineering Excellence for the successful completion of the Indian Run Dam Rehabilitation Project. In 2010, SCMA acquired the Branch-Cass Regional Sewer Authority, including the wastewater treatment plant, 7 pumping stations and collection systems that serve both Branch and Cass Townships. In 2010, the Authority successfully installed a new comprehensive accounting, billing, general ledger, and payroll computer system that electronically integrate all facets of the financial system. In 2013, SCMA began construction on a project to expand and upgrade the Deer Lake Wastewater system. The project included construction of a new wastewater treatment plant, 3 new pumping stations, and over 12 miles of new collection lines. In 2011, SCMA successfully secured financing for the Deer Lake Wastewater Treatment Plant, Pumping Stations, and Collection System Project through a $4 million grant from the Commonwealth Financing Authority (CFA), a $1.5 million grant from PENNVEST and a $15.5 million low-interest PENNVEST loan. The regional project consolidated 5 existing treatment facilities and provided sanitary sewer service along the Route 61 and 895 commercial/residential corridors. The project also included providing sewer service to the Country Hill Road and Lee Development areas of West Brunswick Township. In November 2013, SCMA was awarded a $1.4 million grant through the Commonwealth Financing Authority H2O-PA program to install 20,000 linear feet of waterline and construct a 500,000 gallon water storage tank to provide potable drinking water and fire service to existing Mahanoy Business Park customers while enabling additional development to flourish in the surrounding area. The remaining funding has been secured through a PENNVEST low-interest loan that was awarded on January 21, 2014. Construction began in 2014 and was completed in 2015. 2014 proved to be a significant year for expansion of the Authority systems. The Kaufman Dam Rehabilitation Project was completed and the Deer Lake WWTP project was completed and went online in September 2014. The Authority extended its presence in southern Schuylkill County by executing a contract with the Borough of Orwigsburg to provide certified operation and consultation for their water and wastewater systems through 2016. 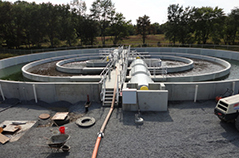 Pennsylvania Rural Water Association Wastewater System of the Year: SCMA was recognized for completion of the Deer Lake Wastewater Treatment Plant Expansion Project. Northeast PA Manufacturers and Employers Association Employer Excellence Award for Expansion: SCMA was honored for the Deer Lake Wastewater and Mahanoy Business Park Projects. 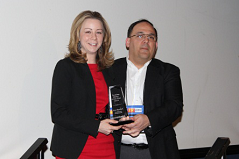 Pennsylvania Rural Water Association Decision Maker of the Year: Amy S. Batdorf, Assistant Executive Director, was presented with the title of PRWA 2014 Decision Maker of the Year for her efforts in management of the Authority’s Operations during the expansion of the systems and throughout $38 million in new construction over the past 4 years. 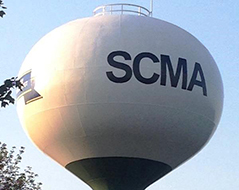 In 2015, SCMA was awarded a $3.2 million grant and $489,950 PENNVEST loan for the Reilly Township Waterline Project. The project will extend service from Tremont to the Village of Newtown and include a booster pumping station, storage tank and distribution system. Governor’s Award for Environmental Excellence: SCMA was recognized for the successful completion of the Deer Lake Wastewater Treatment Plant Expansion Project. In 2016, the Authority was approved for a $6,400,000 loan from PENNVEST for the rehabilitation of three (3) storage tanks including Mt. Laurel #1, Sharp Mountain #2 and Park Basin tanks. The project also includes replacement of approximately 11,000 residential water meters throughout 22 municipalities in the service area. 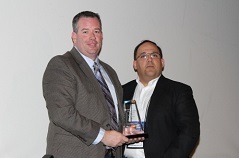 Partnership for Safe Water Director’s Award – Indian Run Water Plant: SCMA was recognized for successful completion of Phase III of the program at the Pennsylvania Section AWWA Conference in Hershey, PA in March 2017 and at the National AWWA Conference in Philadelphia in June 2017. In March 2017, SCMA was awarded a PA DCED Small Water and Wastewater Systems grant in the amount of $200,000 for the Altamont Boulevard Waterline Replacement Project in West Mahanoy and Ryan Townships.